The end of summer is quickly approaching, and though I absolutely hate saying goodbye to my favorite season of the year, the end of summer means it's the perfect time for peaches! What to do with all those extra peaches? It's so easy and simple to simmer up a pot of delicious sweet peach preserves to can or freeze and enjoy all year around! *Some cooks like to add pectin when making jams, jellies, or preserves. I prefer to keep as many natural ingredients as possible. 1. 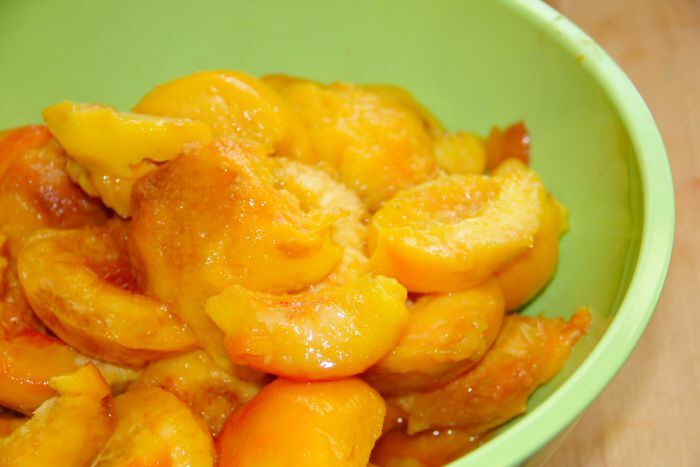 Start by giving your peaches a quick hand wash to get rid of any dirt and fuzz. To make peeling them super easy, I put a large pot of water on the stove to boil. Once the water is boiling, I throw in my peaches for about 3 minutes. Remove them from the water and allow them to cool until you can handle them. For the most part, the skin should peel right off, although you might need to use a pairing knife for a few stubborn skins. This process also helps you save more of the "meat" of the peach. 2. After peeling off the skins, cut the peaches in half and remove the pit (throw away - we don't need any pits) and set them aside. 3. 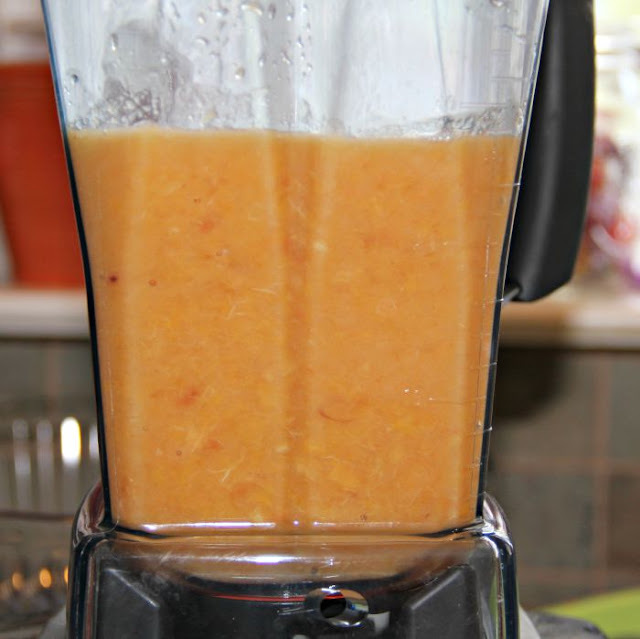 Using a blender or a food processor, blend the peaches slightly. You don't want to liquefy them. Just enough to get them into a smashed state. You can also smash them by hand if you want your preserves to be a bit more chunky. I blended my peaches in two different batches. 4. 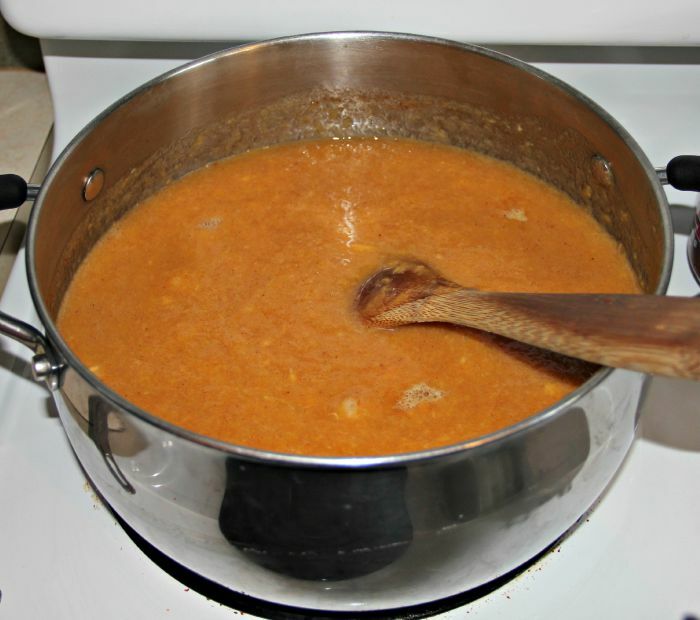 While you are blending your peaches (or in between blending your batches), but a large pot on the stove and heat the water just until boiling. Add in both white and brown sugar and stir until the sugar is pretty much dissolved. 5. Add the blended peaches and cinnamon and stir over medium heat until it begins to simmer. 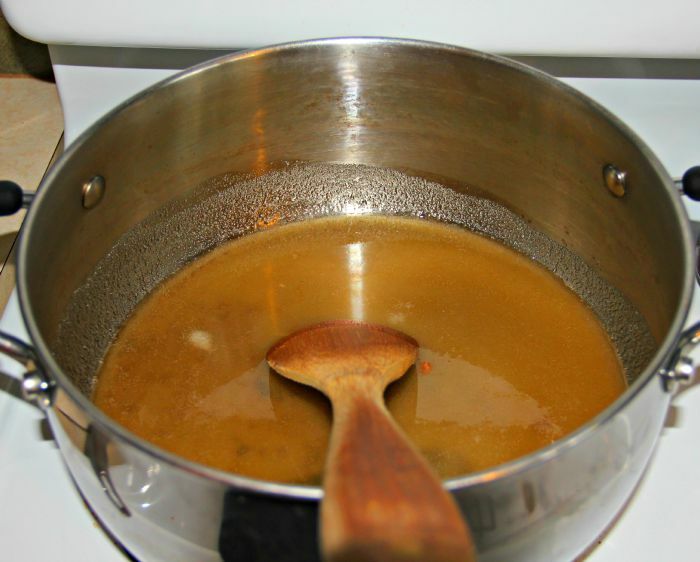 Once you have a good simmer going, turn the mixture down to a medium low or low heat setting. Allow the peach mixture to simmer for approximately 5 hours, making sure to stir it every so often to ensure it doesn't burn or stick to the bottom. 6. Once the mixture has thickened, your preserves are ready to can, or put in jars to freeze, or go right from the pot to some fresh biscuits or toast. 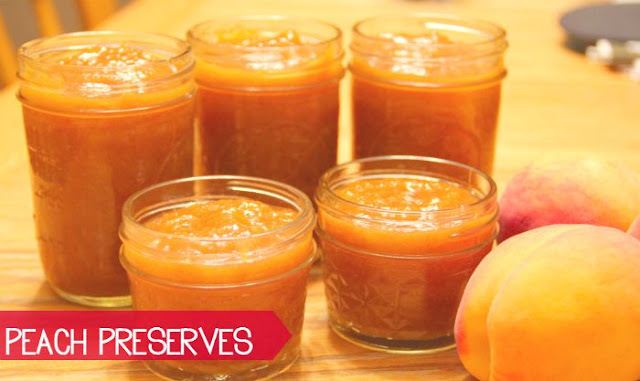 Without a doubt, you'll be loving these peach preserves so much, it will be hard not to just eat it with a spoon! Click HERE to check out more Our Southern Style recipes!